Still praying for that future husband? Don't give up! You are here: Home / dreams / Still praying for that future husband? Don’t give up! Still praying for that future husband? Don’t give up! Are you still praying for a husband? Do you feel like giving up? Maybe you started praying in your teens and you’re in your 20s, 30s, or 40s now. Perhaps you’ve started to believe that your prayers are doing NOTHING. Sometimes it may seem like that’s true, but it’s not. Your prayers are working … but in ways you may not see for years and years to come. Robin Jones Gunn and I wrote the book Praying for Your Future Husband a few years back, and one of our favorite things is receiving letters from women of all ages. Some of these letters include wedding photos! And many more of these women simply thank us for encouraging them on the journey. Prayer is an extraordinary mystery. This sacred privilege of communicating with our heavenly Father is more than a cozy, open invitation to come to Him anytime, anywhere. Even though His ears are open to the cries of His children 24/7, prayer is more than that. Prayer is also an act of obedience. We are exhorted to pray for others and to pray without ceasing. Neither Tricia nor I pretend to have prayer all figured out. What we do know is that God hears. He sees. He knows us. He cares more than we can ever comprehend. And most important of all, God answers prayer. Perhaps you’ve noticed that the way God answers prayers often isn’t what we expect. We look back years later and see that what God did was oh so much better than what we first envisioned when we sent our heartfelt requests heavenward. He created us, and He desires the best for us. God always gives His best to those who leave the outcomes with Him. Another, even more amazing mystery is that, when we pray for someone else, we change. All of us were made to be loved, to give and to receive love. When your heart connects through prayer to the One who is the source of true love, you’ll find that praying for your future husband will wondrously result in your heart being changed. And when your heart is changed, your life is transformed. 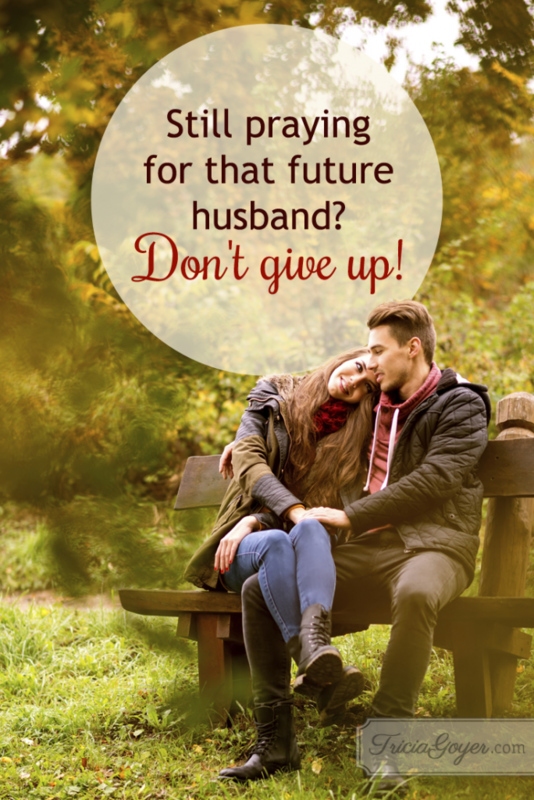 What sort of changes will God bring about in your future husband’s life as a result of your praying for him now? We don’t know. As you pray for him, what sort of changes will God initiate in your heart? We don’t know that either. God proves to be good to the man who passionately waits, to the woman who diligently seeks. It’s a good thing to quietly hope, quietly hope for help from God. It’s a good thing when you’re young to stick it out through the hard times. When life is heavy and hard to take, go off by yourself. Enter the silence. Bow in prayer. Don’t ask questions: Wait for hope to appear (Lamentations 3:25-29, The Message). I love that last line: “Wait for hope to appear.” Isn’t that what you need most when you’re still praying for your future husband, especially when so many of your friends are married and have children? Perhaps you’ve prayed and prayed, but God hasn’t answered. Your prayers seem like bulbs planted in a winter garden. Each time you check for results, all you see is barrenness, debris and frost. You doubt the warmth of your faith when you first planted the prayers in a season of light and hope. Patience, dear God Lover. Nothing is wrong with your prayers. Leave all of them safely hidden with the Lord. Hold fast to the hope that He has heard and is at work in the garden of your heart. One bright spring morning you will be stunned when you see what God’s resurrection power has done with those requests you buried so long ago. What is it that the Lord is asking you to work on in your life during this season? Please don’t compromise your standards. Don’t start making excuses to justify why you’re settling for actions or relationships that you know in your heart aren’t what you want your life to be about. How can you change that destructive behavior today? What are the new choices you need to start making? Most importantly, be at peace. See this time as an opportunity for God to develop His patience in you. And don’t forget: Love is patient. Will you get married one day? Statistics say that you will. We all know that staying married is a whole lot more important than just getting married. How you spend this stretch of waiting and allowing God to develop His patience in you will only benefit you during the difficult times that all married couples go through. And just as there are two people in every marriage, there are two people who are learning patience as they wait for each other. If you’re having a hard time, your future husband most likely will, too. Your prayers will make a difference. How do I pray for God to develop patience in my future husband? Pray he will turn to God and that God’s peace will help him to be inwardly calm and willing to wait. Pray he will have a quiet and steady faithfulness to God. Pray he will be content in every state he finds himself in. Pray his eyes will be focused on things to come, rather than things he wished he had now. Pray he will not push for answers before the time is right. Pray he will trust God’s sense of timing. Pray he will be reminded of all the times God has been patient with him. Pray he waits with hope and expectancy. Of course, as you pray these things for your future husband, be sure to pray the same for yourself. Patience is like holding a closed bud of promise in your hand. Imagine that closed, white rose in your mind. Consider allowing each petal to unfold slowly, in its own way. Can you see the beauty of each stage? Can you see God’s hand wrapped around yours, watching the unfolding with you? Will your love story come true? For many of you it will. Concerning your future husband it could be in the near(er) future, or like some, it could be years in the distance. It could be a quick romance. It could be a slow falling in love. It could be exactly like you pictured it or like nothing you ever dreamed. But when the day comes that your story is celebrated by your closest friends and family, you’ll know that every prayer was worth it. And you might even wish you’d prayed more, because prayers are the first gifts you give to your future husband. Gifts that heaven participates in giving. While we can’t guarantee every one of you will have that type of love story, there is another type we do believe will take place. Everyone, everywhere can have a beautiful love story with her God. It begins the moment you look into His eyes, realize how much you are loved, and give your love and commitment in return. While we cannot guarantee your prayers will lead you down the aisle to a waiting mate, we do know that every prayer whispered is precious to God. None of them are wasted. While we hope your prayers for the man of your dreams come true, we know that your prayers bring you closer to the God of your eternity. And seeing the love in His gaze is the most beautiful love story of all. If you are to be committed to anything, be committed to preparing your heart for God’s — in this way — and in every other aspect of your life. The love you’ll experience will be life-changing, and the celebration in eternity is one to look forward to with all your heart. I’m not giving up. But I don’t think I can convince myself this is true anymore. I don’t think I even believe my prayers. Perhaps that is giving up. I’m not sure. I have read other articles on marriage that state that God won’t provide a husband until both of you are ready and right with God. Though I work on this daily, I don’t feel like I’ll ever be at the place where I am ready, no matter how much I want to be. I’m also very independent, my parents didn’t raise me and prepare me for marriage, they prepared me to be fiercely independent, to a fault. Because of this, I have no idea what my role is when I’m dating someone, and I’m always told I’m unloveable or difficult when I’m in a relationship–thus they don’t last long, maybe a month or two. I’m frustrated and angry with myself. I just feel like an idiot and that I should stop trying because it’s never going to happen for me. Who can love someone this independent, wild, and carefree? I feel like my family rarely does, I don’t have any friends really, so how can a man? He can’t. After the last relationship disaster, I think I’m done. I don’t know how much more my heart can take. Letia, keep praying!! God has good plans for you. When you pray you will grow closer to God. That’s the main goal about praying for a future husband–not that you’ll have that specific prayer answered, but that you’ll see Jesus as everything you’re ever wanted or needed. We fail continually as people, but thankfully we can depend on the grace and love of Jesus for all our short-comings!! Also, if you get a chance, I’d love for you to stop by my lifestyle, humor, and fashion blog! 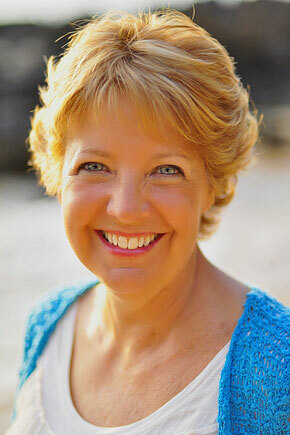 I have prayed for my future husband, – someone I met over 30 years ago- for 30 years now. And nothing. If anything he has gone off to marry someone else. I prayed Fervently for decades, not knowing the outcome on his end until the last few years. How distraught and betrayed I have felt. I feel like a fool, even though I have only shared my desires with God..
You have not because you ask not? Not true; I have asked., and nothing. Right I HATE when people say that… Sometimes its just not gods will for us to be married.. I hate it… But it is what it is. if “marriage” is in you stars, even if you don’t pray for a future husband, it will come. On the contrary, no matter how much you pray and beg God for a husband if it is not in your “stars” you will never find one. That’s my experience. I believe that the most important thing is to build a relationship with God, that if my future husband is to find me, he has to ask God first, then he will be directed to me. All I can say is don’t give up, God always has the best plans in store for you. Ask and He will give, in accordance to His will. Sometimes we don’t get because we focus on the wrong ‘thing’ and fail to see God’s ideal for us. The human heart is deceptive. God’s plans are the best. I was contemplating on getting married to a certain guy six years ago, but for some reason, things didn’t work out. First, I thought I was the problem, and prayed hard for God’s intervention. But things didn’t go as i thought they would. He later married another lady, and I learnt to move on positively. In September this year, I got a job in an institute where they are both working. That’s when I came to find out the problems this lady is facing. This guy was a wolf in sheep clothing. God saw it and got me out of it. If I had it my way, I’d be in her shoes. God has the best in store for us, trust in Him and He will always come through. I believe that and I trust Him with my life. I am 38 now. I never found him. Its been so long and honestly my opinion on human love has been jaded. So many of my friends have gone through divorce, tough times, etc. Less then a handful are still together. Sometimes I think God Spared me pain. Maybe I was never meant to find love. At least not the romantic love some people have been blessed with. I have seen so much darkness, I was sexually harresed at work, had stalkers after me, men pretending to court me for not honorable reasons. Its tough holding out for my knight in shining Armour. I can picture him in my mind and at times fantasize what it would be like having him here. It would be wonderful. I know I am blessed with having the ability to picture him and dream about him. It’s my piece of heaven in this world. I am really grateful to God, he has kept my family members near me, good health and safety from hard times. I really am grateful. If God did not want me to find him in this world it has to be for a good reason. I might not be able to see that reason now but I hope one day I find him. If not in this world hopefully in the next. I pray God gives me the strength and the path to reach heaven. Amen. Praying for one’s husband forms a very important part of our daily prayers. I used to be so discouraged at times,thinking he doesn’t show any interest of moving closer to God and His Word. I have realized that my expectations was based on the point that I’ve always wanted to change him to what I wanted him to be, but God has His own thoughts towards my husband. My part is to pray that he finds his way back and serve God with a new revived heart. I thank God for sending this wonderful man into my life, he accepted me and my children with an open heart, he provides and takes good care of us as his family. Thank you Tricia for this website. God bless you. I have prayed for many many many years. No husband, no children (i prayed consistently through my 30s for children). Just pain pain and more pain. Not to mention social isolation, lonliness and a feeling of purposelessness. I break out into screaming for help from God from time to time to dull the pain but its actually pointless. I am happier when I don’t pray. At least I don’t have the futility, silence, and heartbrokeness staring at me in the face. Jesus was nailed to a cross but he died in one day. This misery is taking decades. Im surrounded by people who hate or dont believe or care about God. And I have to watch God bless them with families.. and brag and brag and brag. Then I go home alone and cry. This is the world we live in. To suffer and to scream and cry to God without resolve. Sometimes life is just plain excruciating and there is nothing you can do about it. I’m also facing the loneliness and the pain everyday. I try to stay away from situations that cause pain such as families and babies. Sometimes it’s unavoidable and I feel the urge to cry. All I can do is hold it and face the pain. I too am surrounded by people who don’t believe in God and they are getting blessed with the desires in my heart. I have decided to give up praying for a husband because it’s emotionally and physically too draining. I just can bare it anymore. I don’t have the strength. If God promised us spouses I would probably continue to pray for a husband. Sadly, God doesn’t make that promise. So I why should I continue to pray for something that might not get answered? I’m almost 40 years old and I’m seeing my chance of having my own children gradually slip away. I have decided to not pray anymore “empty” prayers or as I prefer to call it, prayers in vain. I’m age 54 as of this month, still attractive. I hear you Nora. I really was not taught to look for a husband. I am so disheartened right now. No children living or husband. Maybe some light is that today, I read God may not answer my prayers of lust, well I cant say that all my prayers are from lust, they were that I am lonely and want someone to hold and do things with together. So anyway, I asked myself, “have I been praying for a man to serve God together with?” Sadly, that has not been a main thought. It brings a change in my thought and terrific change of perspective and picture of the type of person I will now begin to seek. Loved the comments – very real. At the age of 11, I made a vow to remain a virgin until my wedding night. At the age of 18, I started reading books and materials God laid upon my heart to prepare myself. I grew stronger in my walk and encouraged others along the journey. At 27, with no prospects in sight, I was tired of apartment living and decided to purchase my first home because it was a good investment. Although, I was the only single woman in the subdivision, I remained encouraged. I focused on my walk and being a complete person. My late twenties to mid thirties was a record number of weddings for family and friends. I remained hopeful that one day I would have someone to share my life with as I turned the key to my home. The years continued to pass and the question “Why are you still single” was on repeat. I continued to live a holy life and travel the world. Late 30’s was the beginning of my ideology shift. I slowly started to question why I made a vow and how weird I felt for being almost 40 and still a virgin. I was the single female who was always single and alone at fuctions and events. Family started to whisper that I was gay . Although I was having internal ideology shift, I remained pure because I gave God my word. Prior to my late 30’s , being single never bothered me because I believed God would connect me to my spouse in his perfect timing. 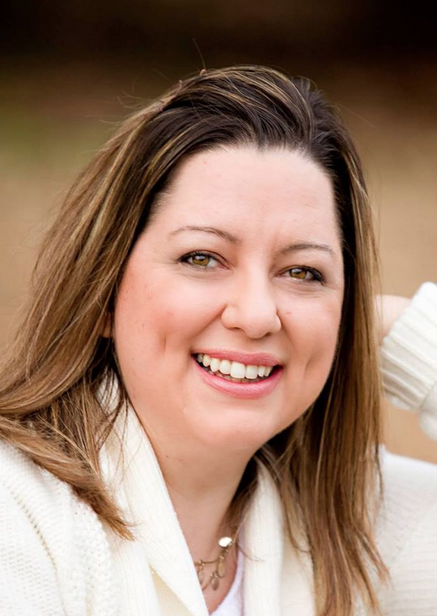 Now at 42, I’ve come to believe that maybe I missed God or marriage is not his plan for me. I’m officially a virgin, Great Aunt, and the oldest member of my family who has never been married and without a child. At my age, I do desire to have a family but having a child is the immediate desire because it’s the more viable one. Considering my age, I really would like to have a child before the option is no longer possible. So with that being said…I tried but I no longer have the same ideologies about waiting and definitely became weary in this journey. I have recently researched my options to have a child even though marriage is not an option.